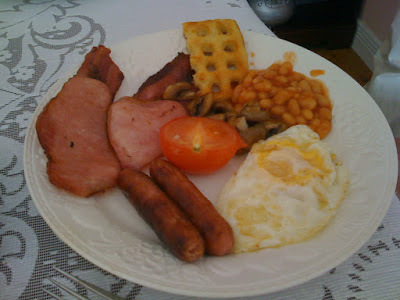 This is a delicious Irish breakfast: bacon, eggs, sausages, mushrooms, tomato and beans. Marta and Nacho had a similar breakfast during 14 days and they are still alive...!! !